PLEASE NOTE: We manage properties ONLY IN MADISON, WISCONSIN. If you do not rent at one of the properties listed below DO NOT SUBMIT A PAYMENT VIA THIS PORTAL*, as you have reached the wrong “Resident Services”. Call your landlord (listed on your lease) for further instructions. To download a PDF of detailed instructions for signing up and using the Resident Services Payment Portal, please CLICK HERE. Signing up is easy. 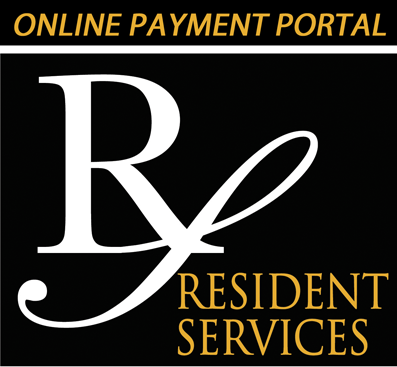 We’ve included links to the Resident Services Payment Portal below. create an account and make individual payments each month. Note: "Resident Services Inc". will appear on your bank statement as the payee when your rent payment is processed. A $1.00 convenience fee will apply to each payment. Payments made after 4:00 pm Central Time will be applied the next business day. If you need assistance call us at 608-829-1111, or contact your leasing office.